Travis Scott is currently blessing the nation with his Astroworld tour. The amusement park themed tour is captivating, to say the least, furthering Trav's penchant for delivering memorable live performances. Possibly, the only way to take things to the next level after touring with an enormous bird was to build an indoor theme park for his set. 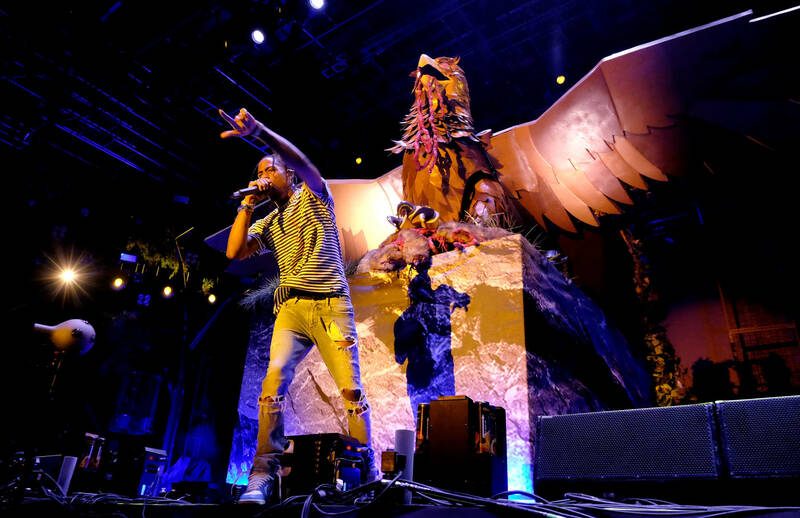 La Flame's antics have grown along with his music, becoming more defined and explosive with each tour. What will Trav have planned next? La Flame was in New York City on Wednesday night, bringing his tour to the Big Apple for the second night. He surprised the excitable audience with two big guest appearances. The first was Kendrick Lamar. Lamar jumped on stage to perform the Birds in the Trap Sing McKnight collaboration "goosebumps." As expected, the entire venue went insane. Check out Kendrick's energetic entrance and performance below. Trav also brought out his lover, Kylie Jenner. The couple rode the Astroworld roller coaster above fans. As with many Trav shows, mosh pits broke out and organized yet contagious mayhem took over the Garden. It must have been a sight to behold.